Like most writers, I always had a head bursting with scenarios and a . . . drawer, shoebox, folder . . . of unfinished manuscripts. My first short story, "McTammany's Bed of Roses," appeared online in The Emporium Gazette, Issue 46, February 2003. With that sale, I earned enough to buy a novel in the paperback section at Wal-Mart or a couple of trade-ins at the local paperback swap-n-shop. Why did I wait so long? I grew up during a time when parents believed their daughters should take typing and shorthand, master that keypunch machine, become competent fodder for the secretarial pool. You can't make a living as a writer, you know. So I worked in office and museum and university settings, and typed words dictated by others. 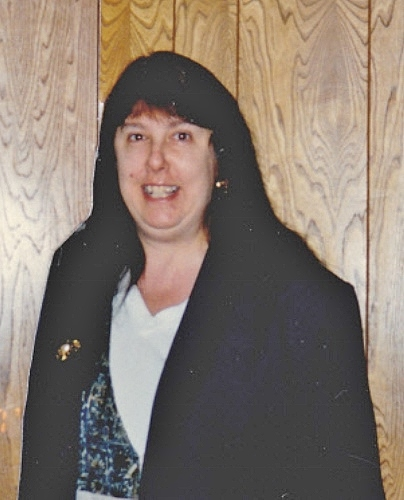 I became a file clerk, an executive secretary, an office manager. I married my favorite protag - no regrets there - raised three most excellent children, who later gave us five most excellent grandchildren. But in my head and heart, the dream still simmered. And my favorite protag knew this. When I left my last job, he said enough, and threw his full support behind me. Now my short stories have appeared in numerous online and print venues, with anthology contributions to The Rocking Chair Reader (in the Coming Home edition and Family Gatherings). A Cup of Comfort for Weddings: Something Old, Something New and Good Old Days Magazine. 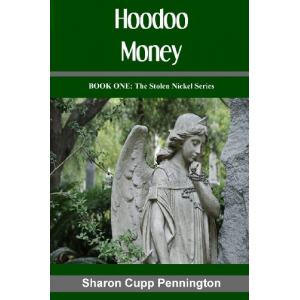 Finally, after years of rewrites and the unwavering patience of my "do or die" critique group (Writing Well), Hoodoo Money was released by Draumr Publishing in May 2008 and followed by the sequel, Mangroves and Monsters, in November 2009. 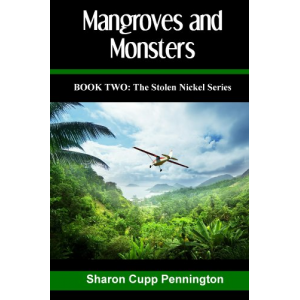 Sharon resides in Texas with her husband, Wayne, where she is currently working on her next project.